Get groovy in your garden of cool flowers with this amazing Funky Flowers Room Makeover Kit. Featuring a myriad of hip and happnin' flowers and bugs, this wall decal mural kit makes tranforming a room a breeze. 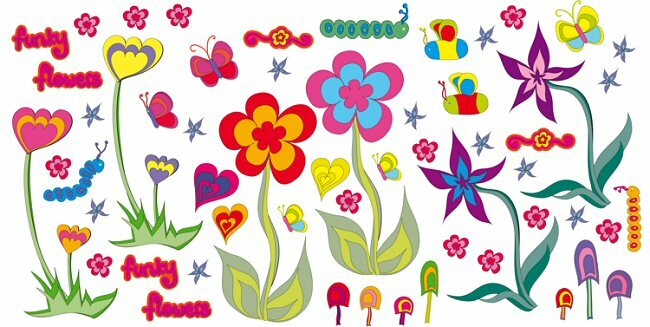 Simply peel each wall sticker from the set and apply wherever you wish to create your own Funky Flowers garden wall mural. Speedy, fun and easy, there is no glue and no mess to worry about. Removable and re-stickable, these wall decals can be used on furniture, too. Room Makeover Kits let you change the look of a room whenever you like - quickly, easily, and without making any mess! 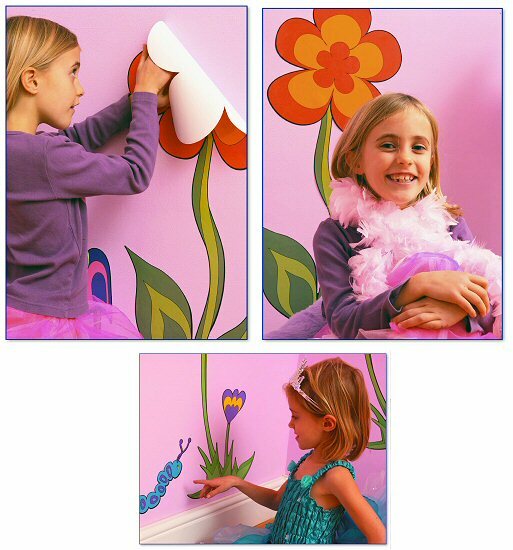 Easy to apply, cleanly removable, and re-stickable, these Funky Flowers Room Makeover Kit wall decals are ideal for home, schools, hospitals, kids' clubs, and more. 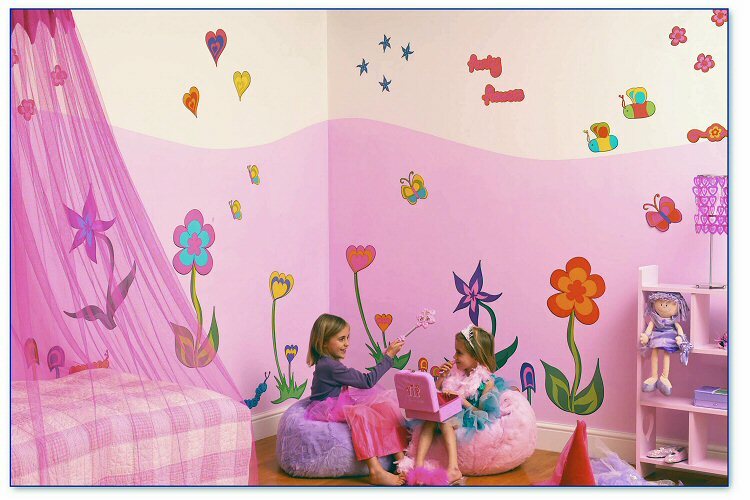 Create a magical kingdom and a beautiful candy-colored room for your little princess with this amazing Princess Room Make-Over Kit. Create your very own magical marine world with this amazing Undersea Adventure Room Makeover Kit. Bring out the sweet flower child in any girl with this customizable Wildflowers fabric wall art.